Three weeks ago, Amazon launched the ‘Mayday’ button on their Kindle HD tablets. With a single-click, users can spontaneously video conference with a remote customer service representative to answer questions and to solve problems. New winds are blowing in the area of online customer service. It is as if a renaissance of old personal customer service the way we knew it prior to the Internet era is reemerging. While on one hand the internet brought huge efficiency to the way products and services are distributed and consumed, the need to further generate profits in a very competitive market environment, forced companies to minimize human intervention to bear minimum. However, with growing competition and short product life cycle, customer experience is becoming an area where companies can differentiate themselves from the rest of the herd. One of the ways to do that is by establishing one on one personal relationships with customers, but within the context of new interactive technologies. The new technologies that become widely available includes video interaction, cobrowsing and content sharing capabilities and applicable to several industries. Amazon and Google recognized the power of live interactive tools to inspire customer satisfaction, build loyalty and ultimately generate economic value. They realized the timing is right to leverage live video and cobrowsing for one-on-one engagement and that it can become an essential part of the customer experience. To a large degree, Amazon is not just raising the bar on customer service, but redefining the rules of the customer service. So what actually should take place in such interactions and why could they be so effective? 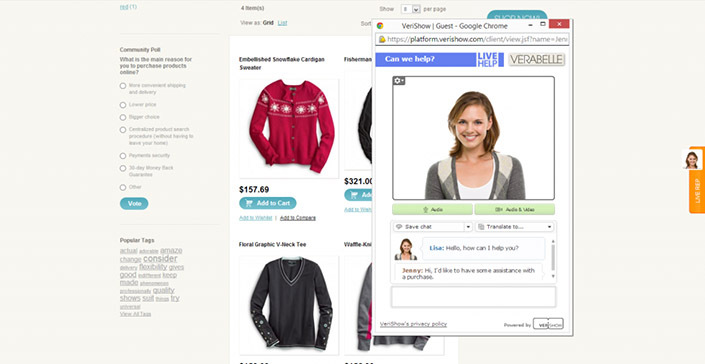 The customer is seeking help and clicks the live video help button. 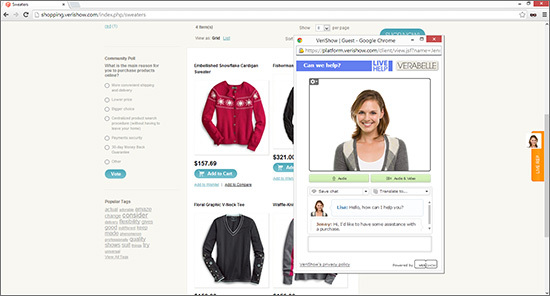 The representative answers the customer, visible on video and talks to the customer. 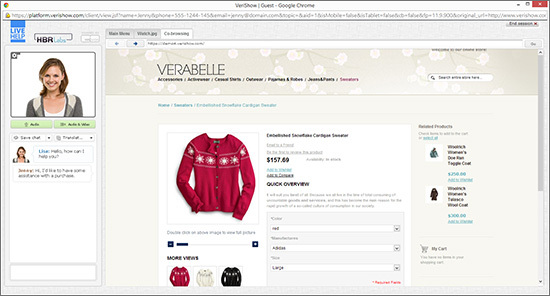 The representative can now co-browse with the customer to assist with a support issue or with a purchase, in real-time. This type of personal engagement is very effective as it provides an effective form of communication, personal attention and can cater for customers at critical points (e.g. checkout process). This is the upcoming way to grow an online business. What about you and your business? Moving forward, major brands will need to emulate the Mayday approach to customer service in order to stay competitive. Reduce cost associated with customer service. Build customers loyalty through online personal engagement. VeriShow is available now, it works on all platforms, requires no special hardware or software for you or your customers and can be live for your business in time for Black Friday and Cyber Monday. Contact VeriShow for more details.